Testimonials – Telamode Canada Inc. Please be advised that we are more than pleased with our RC-4 Digester as we live in the country on a 2 acre property. Every month I have been treating the septic bed with ONLY the required one cup at night. We had the septic tank dug up last year and you wouldn't believe it but the only amount of debris left was the size of a pound of butter. I have an extensive background in chemicals and physics and I can assure you this is the number one product to break down cellulose and to not have your port holes clog up. Imagine getting up and your basement is 6 feet deep in water and your toilet is gushing out you name it at 60 mph. This product if you are using it, DO NOT stop why break a mended fence. I want nothing but the best for our $500,000 estate. I am also a very demanding home owner and RC-4 is world class. We have been boaters/RV'ers for over 20 years and have never found a product as well as Septa-Flush. It had wonderful results in our RV. Where can we purchase it? Do you have dealers in the US? Would you like to have dealers in the US? This spring we tried a bottle of Tele-Blast for our park trailer tank which was giving us false readings. It did the trick plus completely cut the septic smell but we didn't realize how great this product was until we ran out and tried others sold at RV centers in the area. None of these products did much to contain that nauseating septic smell in the trailer and we've started getting false readings on the sensors again. I've learned my lesson and won't waste my time and money on any other septic tank products! Beaver Narrows Resort has been using Telamode products for several years now and we are completely satisfied with the product. Every season we use Tela-Chem in our septic system and we sell Tela-Blast in our store. We also give small samples of Tela-Blast to every new resident of the resort in their welcome packages to encourage the use of this product. We find that Tela-Blast breaks down solids that may clog our lines and has a nice odor; and the residents of Beaver Narrows use it faithfully. Being concerned about all the different holding tank products going into our septic systems and the damage they might be causing, we decided to put all our seasonal campers on one product. 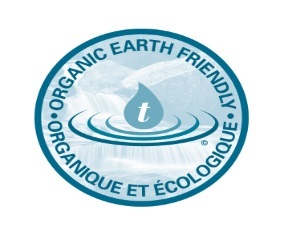 After carefully checking out many different environmentally friendly products, we choose Telamode. We use Telachem in our septic systems first thing in the spring. We give one Tela-Blast to each seasonal each spring [we increased our seasonal rate by the cost and then sell it in our store. We use Tel-AX MSB for cleaning ... its great! We have had very good results with the product and our seasonals LOVE it! We are happy to recommend this product. I have never been so excited about a cleaning product. But we had bought a used motor home last summer. I worked very hard to get everything sparkling clean. The problem was the day and night shades. They were very dirty, with many dark, soiled spots. I did not know what to use to clean them, without ruining them. I put a sprayer on the liter bottle of Tela-Clean. I sprayed generously on the shade and let it set for a few minutes. Then, using a clean white cloth, rubbed over the surface. The soil came off on the cloth - black! The soilded spots just disappeared. Thank you for having such a great product! We have been using Telamode products for a few years now with great success. Our campers prefer to use Tela-Blast in their holding tanks to eliminate smell and keep their tank sensors clean and use Septa-Flush powder to keep their grey-water pits clean and odorless. We use Telechem weekly in our showers and laundromat to prevent soap build-up in the lines. The septic bed lines and tanks are kept up to par by using the RC-4. Thank you Telamode for keeping us informed with the latest product developments so we can keep having trouble-free camping seasons year after year. [We are] very satisfied with Septa-Flush; beats the competition hands down. Great for campgrounds and the RV owners. Customers receiving good results with use of products. Customers achieving success with products. Owners also use RC-4 for their own system. We at the 1000 Islands Kingston KOA location use the Telamode products since 2003. We are mainly an overnight park with a total of 75 RV sites, 15 of which are used as seasonal. Our campers are very happy with the Telamode product and it helps our septic system work properly. Once the clients use the product, they always come back for it and the Telamode product sells itself. It is with great satisfaction to support Telamode products. We have been using Tela-Blast, Biological Toilet Bowl Cleaner and Septa-Flush in our Trailer Park and in the restaurant (for cleaning). Following Allan's advice to introduce Tela-Blast (free) to our campers, worked well. First of all, our campers liked to receive a free bottle of Tela Blast, but they also understood that it is very important environmentally. Now, our campers purchase at least one to two bottles a season at our store. They love the fresh smell and that they can clean with it as well. We will continue using Telamode. I just wanted to let you know how pleased we are with your product line and the fact that you are keeping up-to-date by constantly adding new products. Your prompt and courteous service make it a pleasure to have you as one of our vendors. We also appreciate the extra time and effort you take to make sure that you bring us our products to our spring meeting to help save on shipping costs. Our clientele, ranging from campers, be it seasonal or overnight, to regular area customers (even as far from New York) appreciate this eco-friendly product. We operate a seasonal campground with 275 sites in Ontario, Canada. We have been selling Telamode products, Tela-Blast, and Septa-Flush for close to 10 years in our campground. The campers like the product because it works well in their holding tanks and it is environmentally friendly. The customer service has always been professional, with a phone call every year to see how things are going. We really appreciate the reminder call in the spring to order our product for easy pick up at our Annual Spring Camping in Ontario meeting. Our campers like having the option of liquid or powder treatment for their septic. Another bonus is - their price is just right! Thanks for the many years of great service. Our campground has 160 campsites and 9 Kamping Kabins. We have been using Telamode products for our washrooms for 4 years. We also use Telachem for our septic systems. Over the last 4 years, we have stopped selling any products containing chemicals that are harmful to septic systems; we now sell only Tela-Blast. Telamode's service was great! Delivery was made right to our premises. The product works well, we've noticed a significant decrease in sewer back-up within the Park since we started giving each customer a jar at the beginning of each season. Karen Challinor, Red Eagle Trailer Park Inc. While travelling in Nova Scotia, I was introduced to your very effective product. How may I order from New Jersey, USA? We purchased 3 Telamode products in 2009 for our campground at the CONY Zone meeting. The individual packets of Tela-Blast for RV toilets were well-received by our seasonal campers. The Tela-Blast liquid product worked very well at the toilet house vaults to control odor. We also added Telachem to the 2 septic systems to revitalize the leech fields. We definitely will buy these products for the 2010 season.